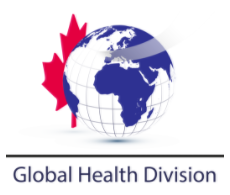 The Global Health Division (GHD) of the Canadian Physiotherapy Association is a pleased and proud to lead the “Working in Culturally Diverse Settings” project. This ongoing project aims to educate physiotherapy students and professionals in regard to cultural competency. Whether you are planning a career in global health or whether you are practicing in your home country, you will undoubtedly be working with people from a variety of cultures. We therefore believe that all physiotherapists can benefit from the content of this project! As a project-in-development, we intend to populate the site with practical and thought-provoking information to guide you in developing cultural competency skills for everyday practice. Also, for students and clinicians planning to practice outside of their home country, a special section will be dedicated to pre-departure training. To address these topics, we aim to present a variety of content and case studies as well as credible external resources to guide you in your learning process. We hope to give you the tools that you need to engage in meaningful working relationships with your patients. As this project is non-country specific, we encourage anyone interested by the topic to contribute, either by working on the content or simply emailing us with your viewpoint so that we can upgrade the content. The Global Health Division (GHD) team is currently managing this project. The official resource person for this project are the GHD’s knowledge translation representatives, Jennifer and Ala. Feel free to contact us at [email protected] to participate or for any questions! Cultural sensitivity, cultural competency, cultural humility and cultural safety: What’s what? Developing cultural competency skills for everyday practice. Pre-departure training for practicing overseas.